What's Beyond Forks? : Second Summer Blitz! In this passionate Contemporary Romance, author Shirleen Davies introduces her readers to the modern day MacLarens starting with Heath MacLaren, the head of the family. 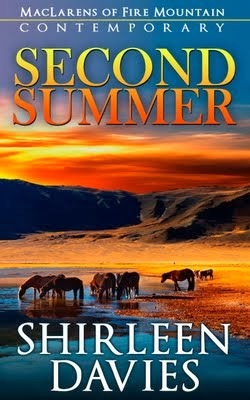 Second Summer is the first book in the MacLarens of Fire Mountain Contemporary novella series. Heartwarming stories of difficult choices, loyalty, and lasting romance. Watch for Hard Landing in the Spring of 2014. Annie looked behind Heath to see Diana in an almost there outfit, barefoot, and holding a bottle of wine in one hand. Reality dawned like a sledgehammer to her solar plexus. The intense pain almost doubled her over. She stepped back from the door. “I, uh, I guess this is a bad…” she couldn’t even get it out before she turned and ran. Tears already filled her eyes, blurring her vision. She could barely hear his voice. The ringing in her ears made it sound as if she were in a tunnel. Her head began to spin as she opened the car door to climb behind the wheel. She fumbled with her keys. She looked up to see Heath dashing outside. He’d grabbed a shirt and was buttoning it as he made his way to her car. 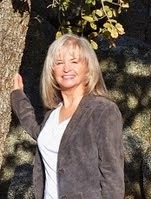 To learn more about Shirleen Davies and her books, visit her website.You can also find her on Goodreads, Facebook, and Twitter. Thanks very much for featuring the first book in my new contemporary MacLaren series, Second Summer, on your blog today. I welcome and will respond to questions or comments from your readers. My email is shirleen@shirleendavies.com. Enjoy your week. Hope it includes a cowboy!